Women played a big role in most of the armed forces in the Second World War. In most countries, women tended to serve mostly in auxiliary roles behind the lines. But in Russia, women fought in larger numbers in front line roles. They served as pilots, snipers, machine gunners, tank crew members and partisans. Over 800,000 women served in the Soviet armed forces in World War II; nearly 200,000 of them were decorated and 89 of them eventually received the Soviet Union’s highest award, the Hero of the Soviet Union. Very few of these women, however, were ever promoted to officers. Historian's have always said there is two things the German's didn't expect going into the Russia . The weather and the women. Besides combat roles, Red army women served in administrative and medical positions. Sculpted with an inspiration from a military illustration; ML-037 represents a female member of the Red Army Medical Corps in standard dressing. The figure comes in a 12x7 cm transparent zip-lock bag with a company label stapled on the top of the bag. Inside the bag; there are 2 small paper sheets ; one with the information about the figure in Japanese and English, the other with a painted photo of the figure that can be used as a painting guide. It is noted on the information sheet that the metal of the figures contains lead. The cast is quite good, there are slightly visible seamlines to clean. A quick sanding will be enough to make it ready for priming. The figure is sculpted by Kiyoshi tsuda and comes in 2 parts. Upper torso with arms and lower torso. Facial details and hair are well defined and she has official service Dark blue beret with red star. 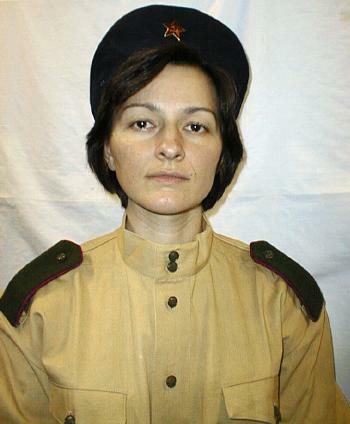 She wears Gymnasterka - which is a Russian military shirt-tunic with standing collar with double button closure, three front buttons, two breast pockets with flap covers , shoulder straps and reinforced cuffs. The shoulder straps for medical personnel are green color with scarlett pipin and an emblem of serpent and chalice was centered. 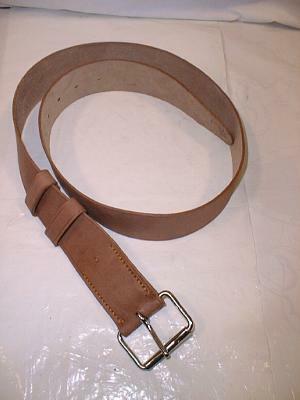 She has a brown leather army belt with metal buckle. The skirt has the same the same dark blue color as the beret and footgear is leather boots with rubber soles. Details of the uniform and cloth folds are well defined. The figure is accompanied with a little cat in sleeping pose given as a single part. Useful figure that can be displayed in World War II Russian vignettes or dioramas. Highs: Useful figure for vignettes and dioramas. Easy on assembly with less parts. Lows: Casting quality is a little low and details are not very crisp as in resin figures. Verdict: It can be used in WW II Russian scenes.